﻿ Workers Compensation Lawyer | Waukesha | Milwaukee | Wisconsin | Duffey & Associates, S.C.
•	Claims and hearing process: We’ll help you navigate the workers compensation system, whether filing a claim or proceeding to a court hearing with a judge. •	Determining types of injuries: Workers compensation law covers both repetative task injuries and one time traumatic injuries. In addition, no one has to be at fault for you to receive benefits. Even if you caused your accident, you are entitled to workers compensation. We’ll help you clarify the injury type for your claim. 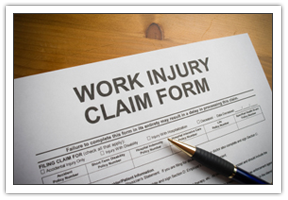 •	Providing answers to your workers compensation related questions: What does workers compensation pay? How long do you receive benefits? How much in lost wages are you due? Are you entitled to medical expense compensation? •	Permanent disability/restrictions: If you have suffered a permanent disability and your doctor has diagnosed permanent work restrictions, we’ll help you learn your options if you cannot return to work making your same wages. •	Retraining for a new job: We can help you get back to school while still getting paid your weekly benefits. •	What insurance companies won’t tell you: Our experienced staff will inform you about what insurance companies do not want you to know about filing workers compensation claims. Contact Us today with your workers compensation questions. We represent injured workers throughout Wisconsin.